Shrimp are a year round favorite for seafood lovers. They can fit the menu of just about any event or gathering. They are not difficult to make and they can please just about any palate. Here is how you can make shrimp at home. The recipe is easy. Read on for more information. Clean the shrimp first. 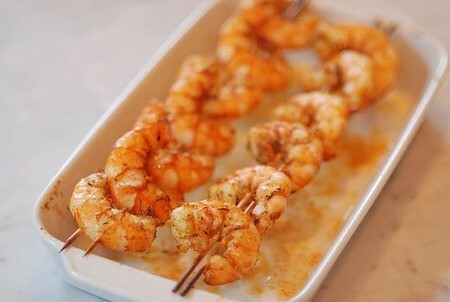 Remove the outer shell and use a kitchen knife to remove the vein from the shrimp. Rinse the shrimp in cold water to remove all debris. Put 2 quarts of water in a pot. Bring it to a boil. Then, place the pound of shrimp in the water. Put some salt in the water inside the pot. Also, drop in some lemon juice for extra flavor. Turn the stove off after the water is hot. Put the shrimp inside the hot water. Allow the shrimp to soak in the hot water. They should soak for approximately two to five minutes. Check to makes sure the shrimp are cook all the way through. Shrimp are better tasting when they are not over cooked. Ensure that the shrimp is done by testing one. Cut it open and look to see if the flesh is opaque. If you see this, the shrimp is cooked and ready to eat. Take the shrimp from the hot water. Use tongs to remove them. Be careful not to burn yourself. Take them out immediately. Poaching or flash boiling shrimp is a popular method of cooking. Shrimp can be prepared in many ways. You can even make them in a pan with some oil and butter a deep fryer or even an outside grill. Also, steaming them or putting them in a hot oven is popular. Shrimp can be overcooked extremely fast. When they cook too long, the shrimp’s texture can become tough or rubbery. Medium sized shrimp is 2 to 3 inches long and take approximately 2 minutes to be fully cooked. Bigger shrimp can take three to five minutes. Preparing shrimp inside the shells are preferred if possible. The outer shell helps to protect the delicate meat when it is cooking. It also adds some flavor. Peel the shell and remove the vein after cooking prior to eating. When you are making other dishes that require shrimp, put them in at the last minute. This is so they will cook but not carry on cooking. Do not overcook the shrimp. This causes them to be unappetizing and bland. How to Make a Paper Plane?